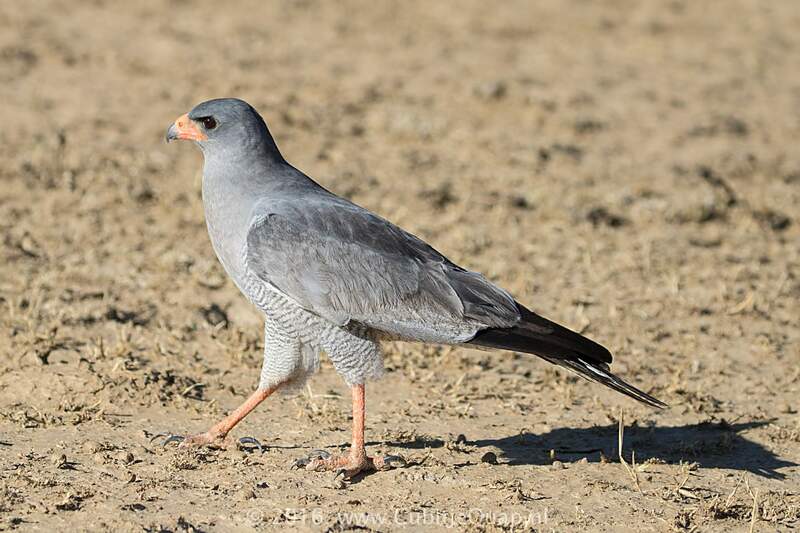 This species is paler than the Dark Chanting Goshawk, especially on the forewings, and has a white rump and white secundaries. 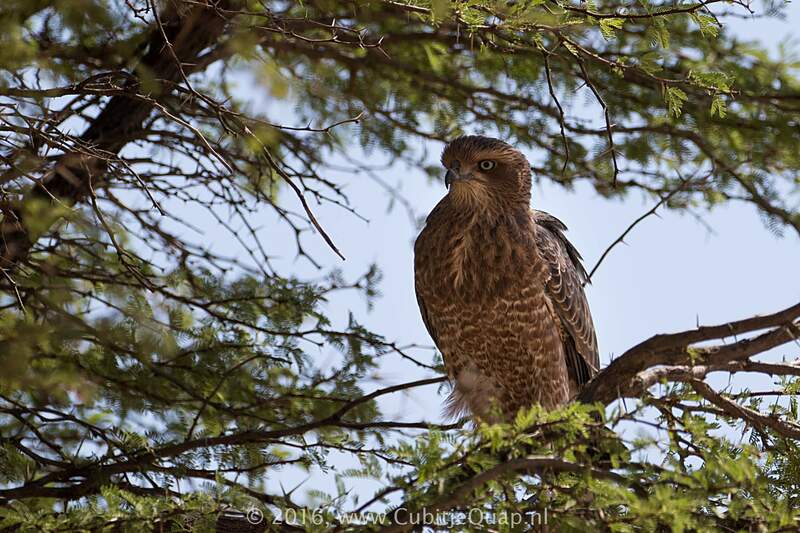 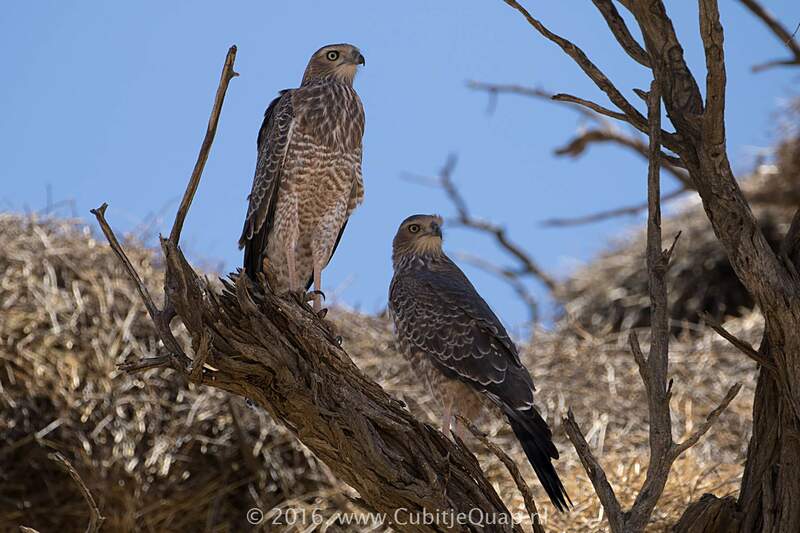 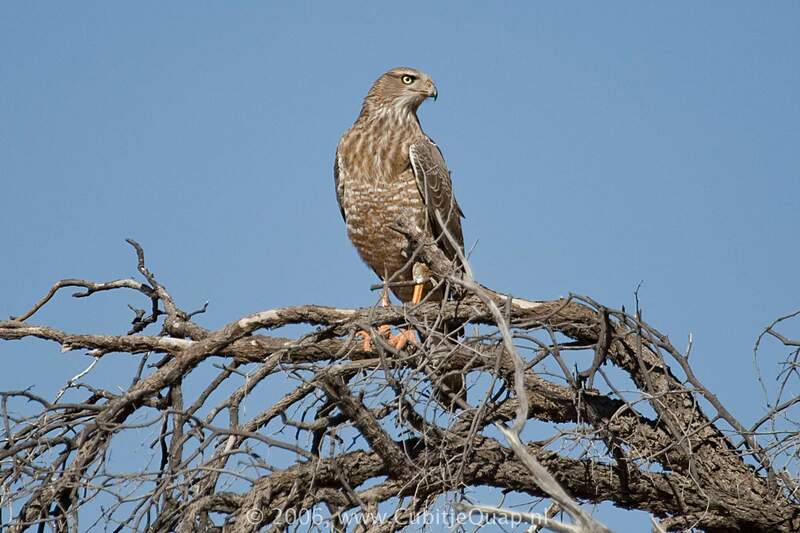 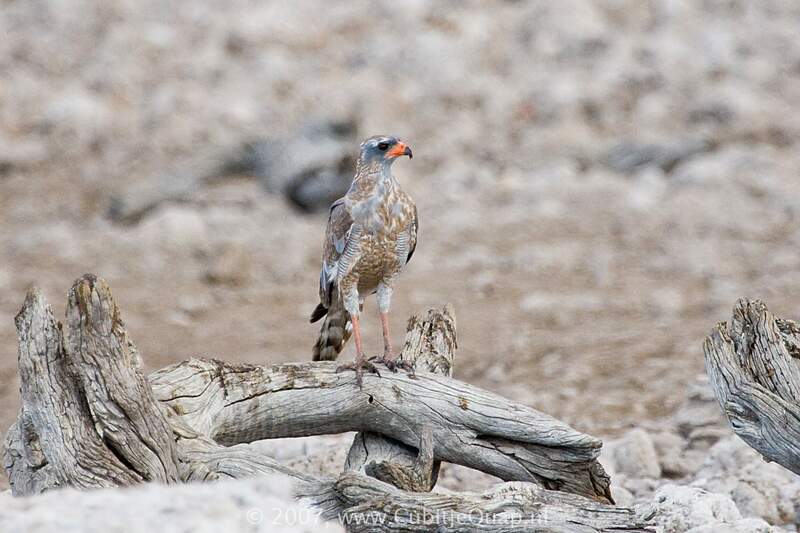 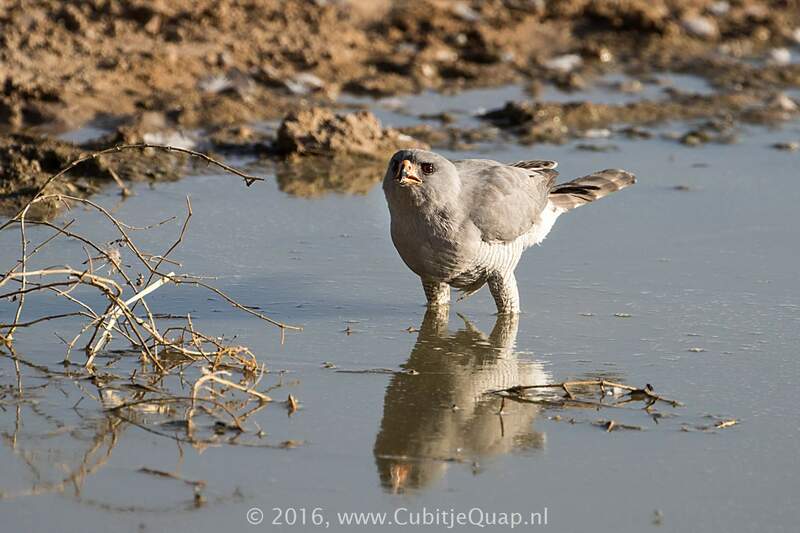 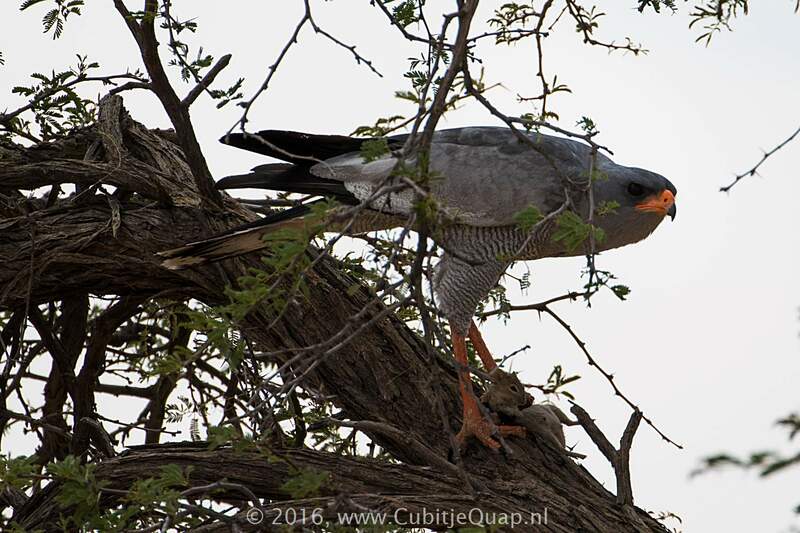 Juvenile is paler than juvenile Dark Chanting Goshawk and has a white (not barred) rump. 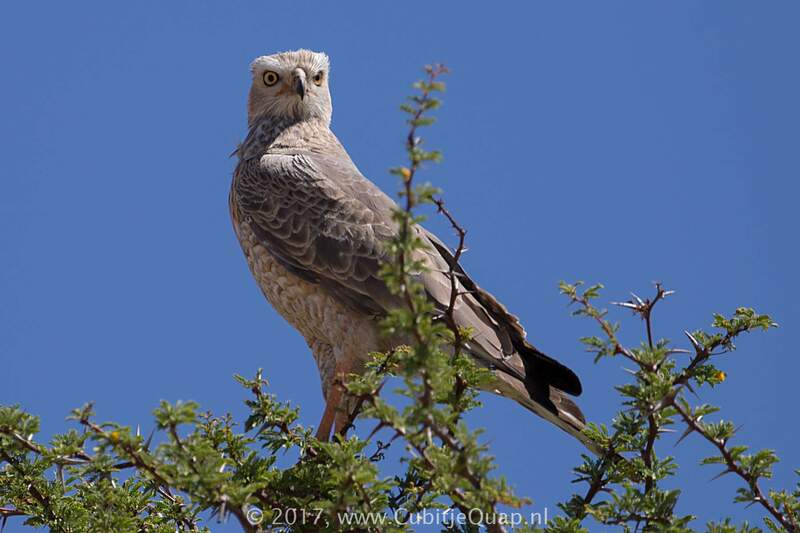 Superficially it resembles a female harrier, but the broader wings, flight action and long legs should eliminate confusion. 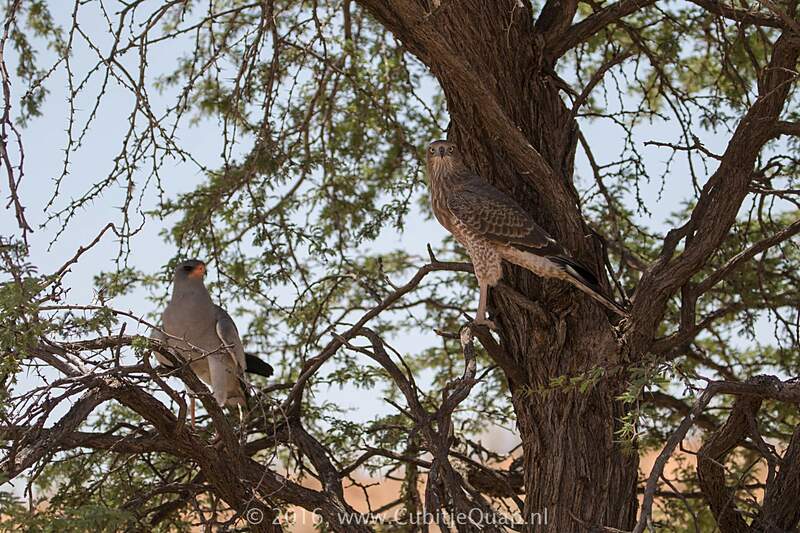 Common along the roadside in arid areas. 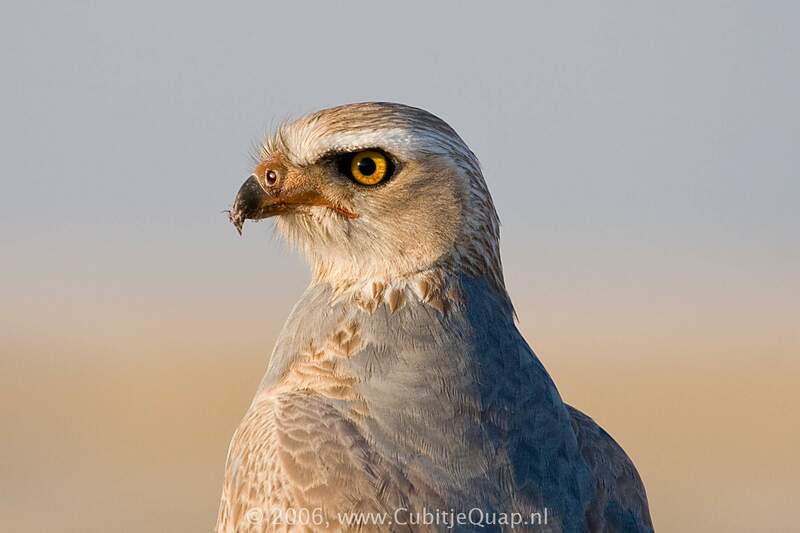 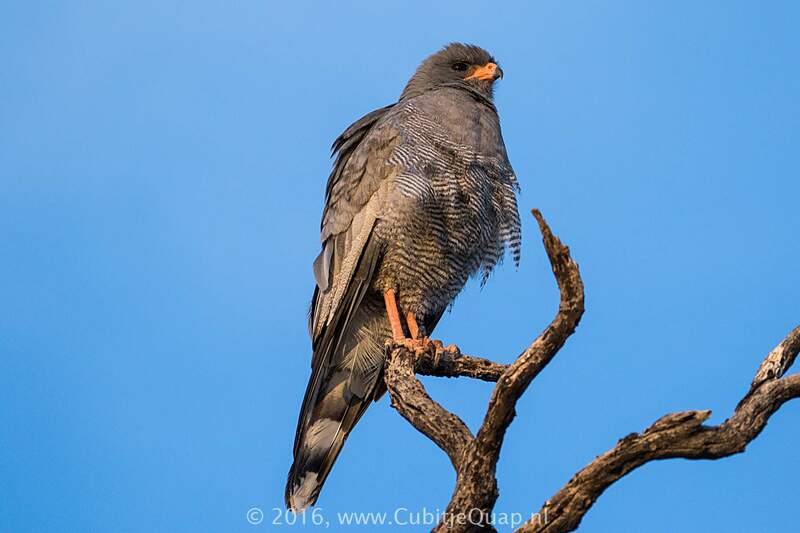 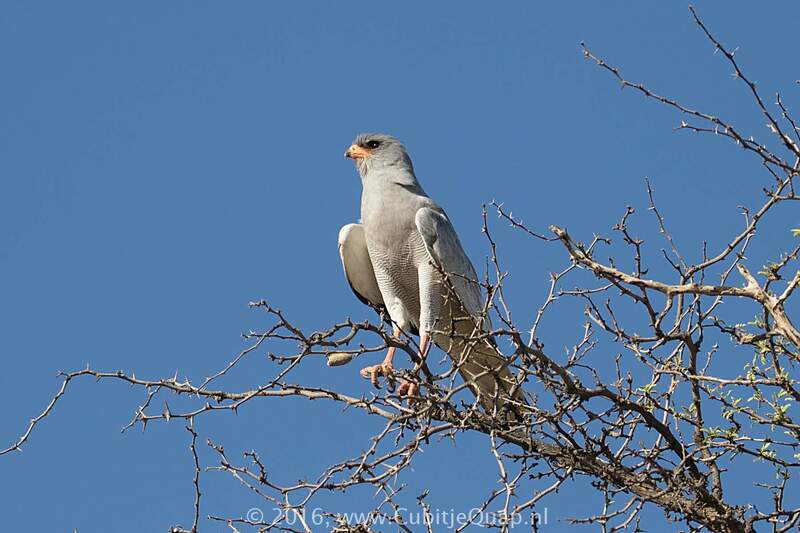 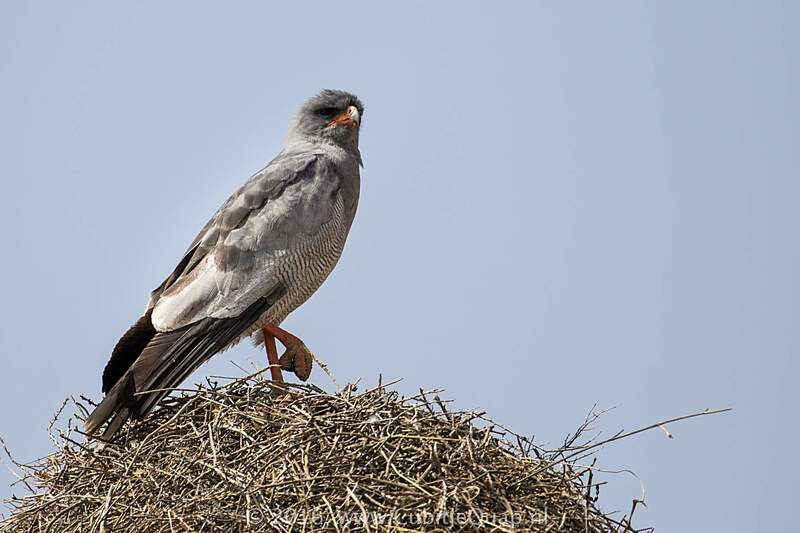 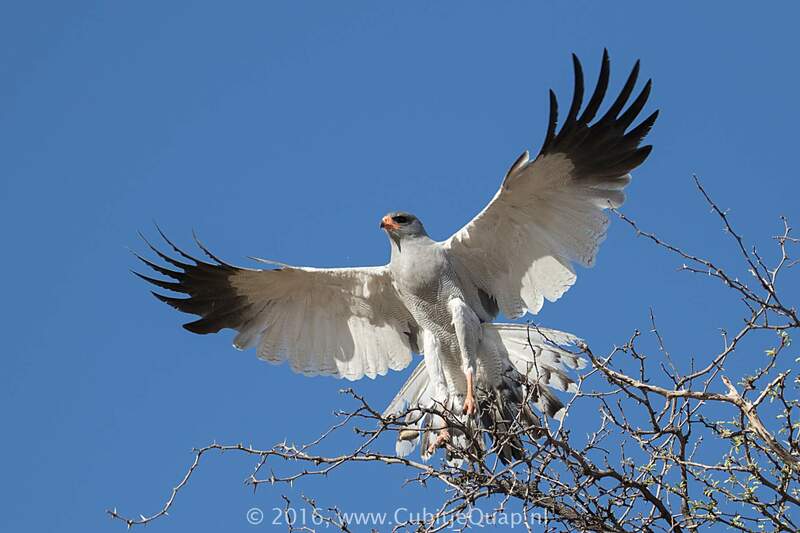 The northeastern part of its range overlaps with the range of the Dark Chanting Goshawk. 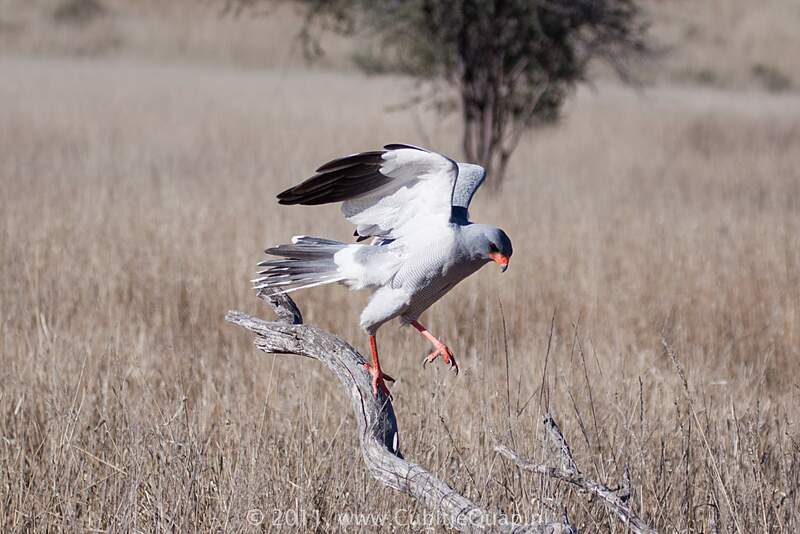 They hunt from perch and are often seen running after prey on the ground. 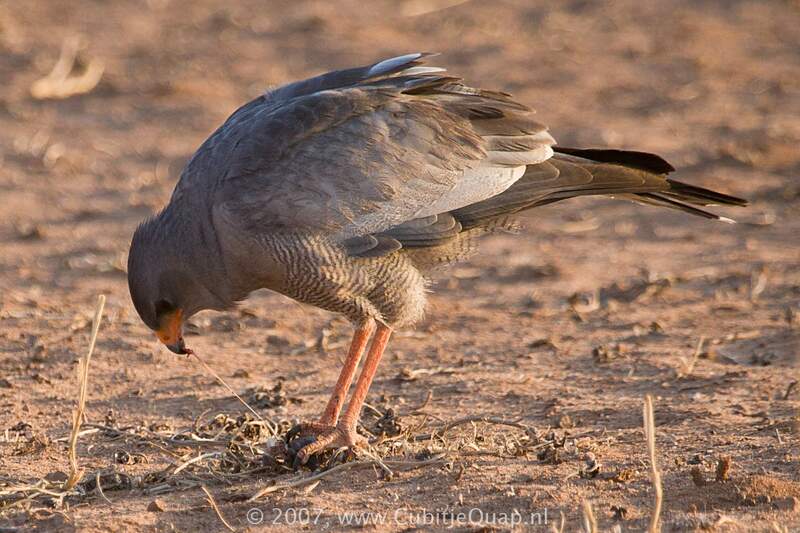 They follow predators such as honey badgers, using them to flush prey. 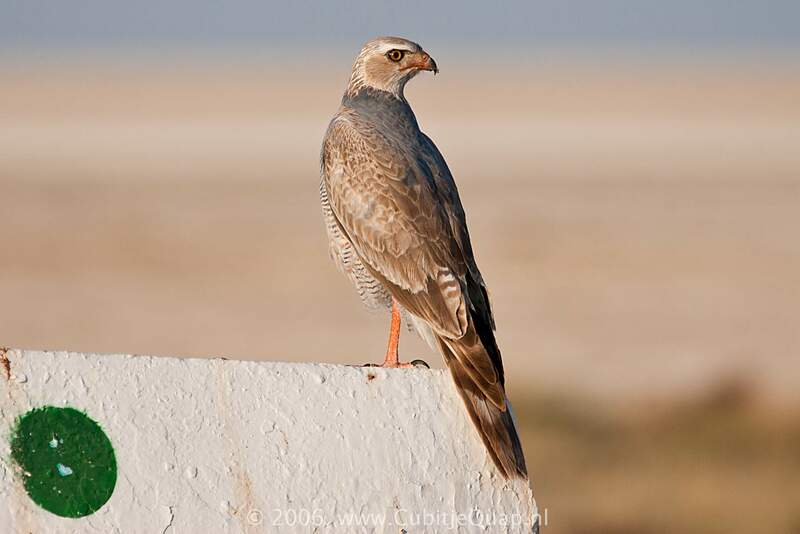 A melodious, piping 'kleeuu-kleeuu-klu-klu-klu', usually uttered at dawn.